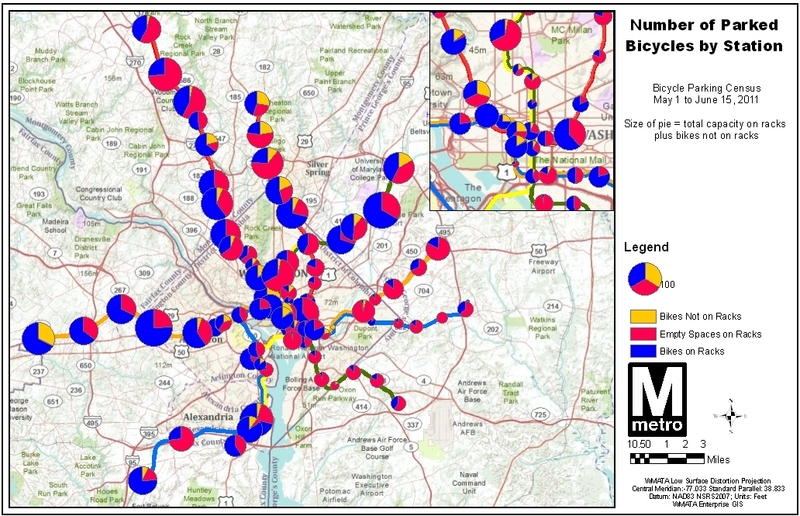 More Washington, D.C. residents appear to be practicing multi-modal transport, as bike docking at metro stations has increased by 76 percent since 2006. 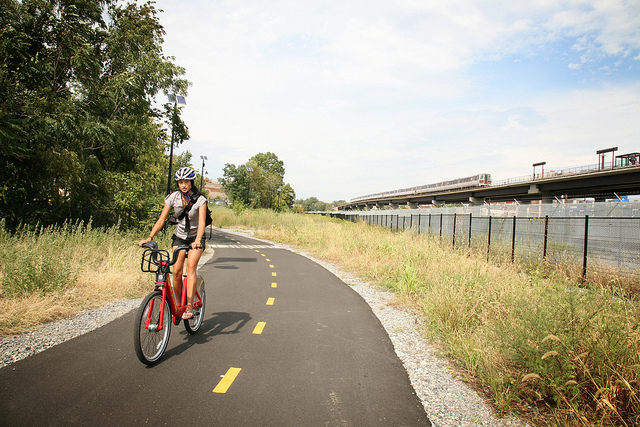 Photo by DDOT DC. Japanese research company Fuji Keizai Group projects electric, hybrid and fuel cell vehicle sales to grow to 32.1 million units being sold in 2025. Of this figure, 13.86 million units are expected to be standard hybrids, 11.48 million units as plug-in hybrids, and 5.75 million units as electric vehicles (EVs.) Infrastructure spending for these alternative-fuel vehicles is projected to soar to 10 times that of 2010 to $3.7 billion being spent in 2025. Global vehicle sales in these categories were roughly 900,000 units in 2010. A new paper investigates the potential difference between urban and rural areas in their respective relationships between gas prices and traffic crashes. Gasoline prices and other economic factors have long been studied as having potential effects on traffic crashes. In the case of gasoline, the existing body of research supports that as gas prices go up, the number of traffic crashes goes down. However, until now, this relationship had not been dissected into the context of urban versus rural areas. The Minnesota study investigated traffic crash data from 1998-2007 at the county level within the state. The data revealed a significant difference in the effect of gasoline prices on total crashes, with a stronger gasoline price effect in rural areas. In regards to crashes that included injuries, gasoline prices also significantly affected crash rates, though there was no significant difference for this relationship between urban and rural areas. The global lithium reserves will be sufficient in meeting future electric vehicle demands, reports new research from the University of Michigan and Ford. The duo found that, based on calculated lithium reserves and anticipated lithium demand for EVs and other applications, there will be enough lithium to last until at least the end of this century. The research compiled data on 103 lithium deposit sites and calculated the global reserve to total 39 million tons. The total global demand for the resource was calculated to be within the range of 12-20 million tons, with the assumption contingencies of economic growth and recycling rates. Tags: Asia, cycling, electric vehicles, gas prices, hyrids, Japan, mass transport, multi-modal transport, North America, personal vehicles, Research Recap, road safety, United States, Washington, D.C.